On September 13, Nintendo announced New Super Mario Bros. U Deluxe for Nintendo Switch. As it turns out, Yodobashi Camera stores in Japan are already preparing for the game’s launch! 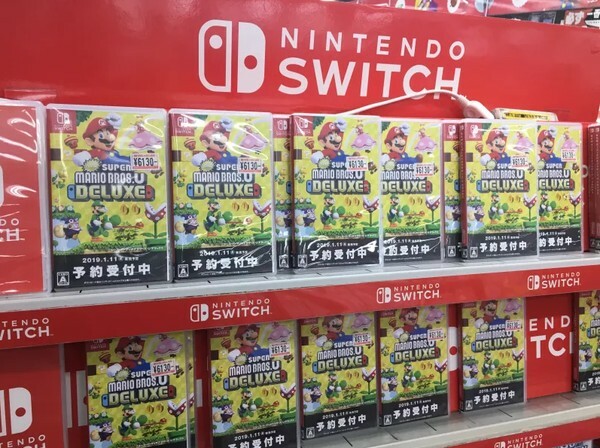 As seen above, placeholder boxes are now occupying store shelves ­­­– which advertise the game’s 2019 release date. Even if the game is just a port from the WiiU era, it seems like the Japanese are excited for more 2D Mario action!